John Roddam Spencer Stanhope, Robins of Modern Times, ca. 1860. Get thee to the Palace of the Legion of Honor in San Francisco before the end of the month to see a spectacular show, Truth and Beauty: the Pre-Raphaelites and the Old Masters. The show combines works by the Pre-Raphaelite Brotherhood alongside the medieval and Renaissance paintings and manuscripts that inspired their work. It’s easy to forget the context of the PRB’s work: an England decimated by industrialization, coal dust and income disparity. Rather than simply looking backwards, the PRB visualized a better future, one of meaningful work, of environmental stewardship and beauty. 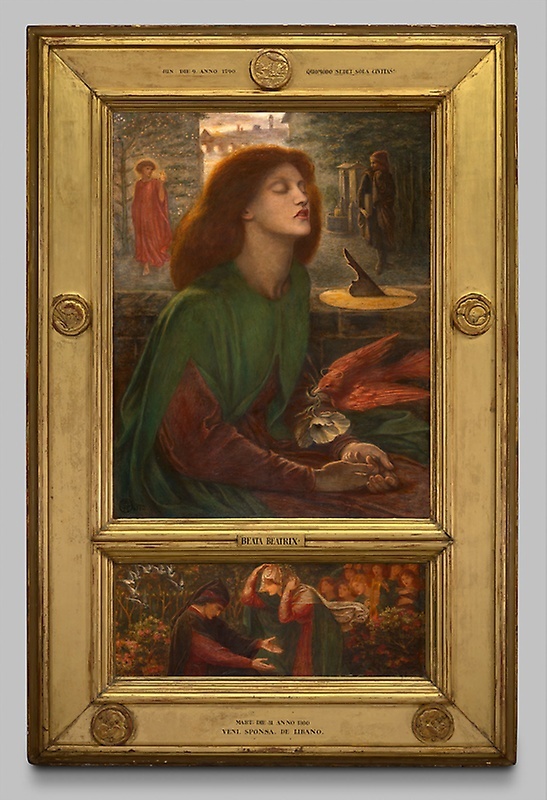 Dante Gabriel Rossetti, Beata Beatrix, 1871/1872. The vivid colors of the PRB’s work can’t be translated to books or the web–you have to see them in person. Gardeners will love the botanical accuracy. In fact, the PRB’s paintings almost seem like they’re about to be taken over by the vines, flowers and grasses that tangle around the central figures. I’ve been thinking a lot lately about what we can learn from the PRB and from the English and American Arts and Crafts movements. To be frank, I’m tired of my own and my generation’s cynicism and irony and I’m haunted by Adam Curtis’ critique of self-expression in contemporary art. I think it’s well past time to get back on the the road not taken, the one started for us by the PRB. 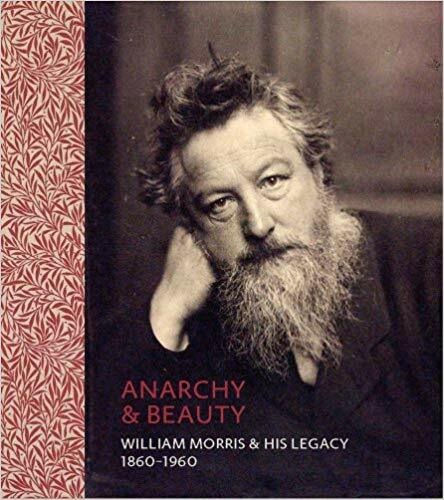 Anarchy & Beauty: William Morris and His Legacy, 1860–1960. William Morris (1834–1896) was an artist, craftsman, designer, poet, polymath, and visionary thinker. Well known for advocating that objects of beauty be accessible to all, Morris had a tremendous impact on the British Socialist movement, the Arts and Crafts movement, the Garden City movement, as well as on successive generations of artists and thinkers in Britain and beyond. Oh, thank you very much!! I will try to go – it’s very do-able from where I am. I don’t keep track of the current exhibits at that museum, but it’s my favorite in San Francisco. Robin of Modern Times is a strange, beautiful picture and more than a little weird, like much of the Pre-Raphaelite work. No one is quite sure what Stanhope was trying to say, but the consensus seems to be that it shows an innocent young country maiden who has just been “ruined” and is regretting her ruination. The Ruined Maiden was a popular Victorian theme. The setting seems to be southern England in late summer and there are some symbolic objects like the two apples, the floral garland and the English Robin carrying a dead leaf whose meaning can only be guessed at. The apples on the ground near the sleeping figure in ‘Robins of Modern Time’ reminded me of the story of Sleeping Beauty. I get a little annoyed by contemporary artists who insist that we bumpkins who can’t see the deep meaning in their ‘art’ are just a bunch of Philistines. Sometimes a paint splatter is just a paint splatter. The Adam Curtis article is really interesting. My two cents is that right now art is first of all about money. Self-expression and deep meaning are secondary.